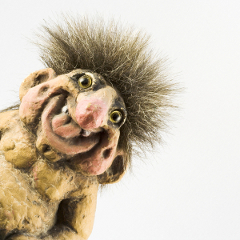 Your social communities may be a breeding ground for a whole new type of enemy; the troll. You know what I’m talking about, the guy that jumps in on any opportunity to bash your company, the customer who spews seething hatred no matter what you do to help them, or the girl who waits in the wings for a customer to say something nice just so she can attack them. This kind of troll isn’t the ugly creature who hides under a bridge waiting for an unsuspecting newcomer to approach. These trolls are far more dangerous and even harder to spot. They hide behind shining smiles in beautiful pictures that do an exceptional job of covering up the pointy teeth they will use to crush your spirits. This isn’t a great Photoshop job gone bad; trolls are jackhats with keyboards who cower behind the shield of their computer screen unleashing a fury of all-caps four letter words. Trolls have an impact on the communities they attempt to destroy and communities that haven’t even started yet. The fear of trolls can hold companies back from participating in social media because companies know their online destruction leaves a trail that stays online forever. Other companies jump into social media head first without ever preparing for that fateful day when trolls come out to play. In Internet slang, a troll is someone that posts inflammatory,extraneous, or off-topic messages in an online community, such as a forum, chat room, or blog, with the primary intent of provoking readers into an emotional response or of otherwise disrupting normal on-topic discussion. We can all agree trolls are unwanted in our community. How can you create a community that flourishes and keep trolls at bay? Here are a few tips for how to create a community that is a troll-free zone. Every community has a different vibe, whether it’s on Facebook, Twitter, your blog or your website. Many times the vibe of the community is driven by users who interact, but your company can also play a role in making sure people play nice. The best way to do that is to create clear rules of engagement that are posted prominently. This is a critical piece for dealing with trolls, in particular. If a post contains inappropriate language or ruthlessly attacks another person, you need to have a policy to point to that shows the behavior is unacceptable and gives you a documented reason for removing the post. Centrica has a clear policy on their Facebook page. You’ll notice they took the path of making sure everything is covered, which is prudent for some types of communities. Social Media Explorer takes the approach of short and sweet. The tone of your policy should be clear and easy to understand. If your company requires legal counsel to get involved, make sure your lawyer can write and talk to normal human beings. Your policy should be free from legalese. Trolls will likely make you use your policy, so make sure it gives you the power to remove and handle inappropriate postings. 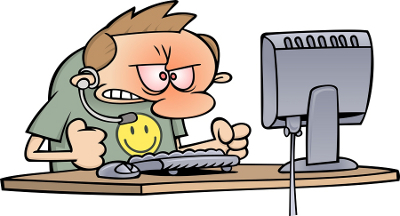 Trolls can also masquerade as customers with real problems that should be addressed. While we may not condone their approach, many times these unhappy customers have a legitimate issue. Make sure your company has a policy for escalating issues that will help to get them resolved; whether it is a product deficiency or support issue, it’s important that they can get on the radar quickly. You may not be able to make the troll happy, but at least you can work on preventing the same issue from occurring next time. Your response policy should include the type of issues that can come up, who to route them to, appropriate response times, and a feedback loop so you know when the issue has been resolved. At first blush, you may not realize you have a troll on your hands with their first post. I’d argue that any unhappy customer deserves at least one response. And because you may not know if you’re dealing with a troll or a seriously unhappy customer you can help, it’s best to create a systematic way for responding that helps you identify a troll quickly. Personally, I have used and tested Chris Brogan’s three A’s approach that he describes in depth in his book Trust Agents. I have found that it is the simplest and most effective approach to dealing with negative sentiment in any online community. It’s brilliantly simple as I would expect from something Brogan created. His approach recommends you apologize, acknowledge and act. After a lot of testing with this approach, I offer you the summary of what I’ve found works the best based on his recommendations and my applications of the methodology. This is simple. Say that you are sorry. Chris is clear that the apology must be genuine, and you can’t make excuses or sound defensive. It’s amazing how a simple apology can quickly diffuse a situation. Also recognize, just because you apologize doesn’t mean you have to admit fault. Rather, apologize for the customers experience or dissatisfaction. The second step is to acknowledge the customer’s feelings. They are unhappy. Trying to defend yourself at this stage doesn’t help you. Rather, focus on acknowledging the customer’s dissatisfaction. Whether your company is right or wrong, their dissatisfaction is real. Here are some great ways to apologize and acknowledge at the same time. This step is the key and the one most often overlooked. If you are managing a social media community, it is your responsibility to make sure to communicate the steps a customer can take to address their issue and follow through to make sure the issue is resolved. And to be clear, giving them your customer service phone number isn’t good enough. Giving them a general email address isn’t cool either. Instead, take personal accountability to make sure the issue is resolved and show the customer that’s your plan. Here are some great ways to put the three A’s in action. I’m so sorry you aren’t happy with your experience. I want to help make it right. I need a little more information. Can you please contact me at (insert email address or phone number) so I can investigate further? I’m sorry we didn’t satisfy your expectations. I want to help make it right. Please email (insert general email box address) and provide your account number. Joe, our customer service manager, is on the lookout for your message and will reach out immediately. I’m sorry you are unsatisfied with our recent app update. I have some additional questions and then want to pass the feedback onto our development team. Can you please contact me at (insert email address or phone number) so I can gather more information? Once you’ve responded you wait. My experience is that most customers will come back with a much more friendly tone and apologize for their frustrated response. They are amenable to a solution and will thank you for your help. These are customers you can help. This is where a troll’s teeth come out. They will attack you, call you names, and refuse your help. That’s how you know you have a troll on your hands. At this point, IGNORE THEM. You’ve shown the community that you are responsive and attempted to help the person. That’s all you can do. Continuing to engage them any further will only light the fire the troll is desperately trying to start. If you ignore them, they will eventually stop posting, or the community will come out and call them out for being the donkeys they are. If you need to remove posts because they violated your policy for engagement, do it and tell them why. You can feel confident that you did your best to help the person and recognize that this person didn’t want to be helped. And yes, I give you permission to mumble “jackhat” under your breath every time they post from now until eternity. Have you had a troll in your community? How did you handle it? Got an example of a conversation with a troll? Leave a comment with your tips, examples and feedback and join the conversation. Tip: Don’t be a jackhat or I will have to unleash my three A’s on you.